[Campus News] More Days and Books to Borrow! 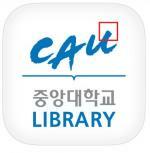 [Campus News] New Mobile Application & Website: Smart Library! [Campus News] 2018 Winter Statistics Workshop! [Campus News] Humanities Sympathized By All Generations! [Campus News] The 2nd Culture Festival!